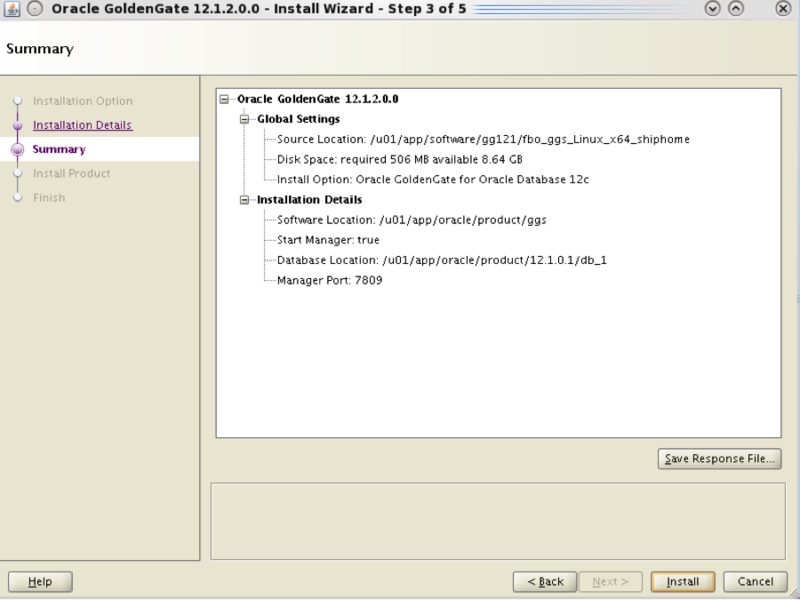 As you know, Oracle bought GoldenGate four years ago. In its new 12c release, Oracle has now integrated the product further into its standards by offering an installation option using the OUI. For those of you who have installed earlier versions, you're probably thinking that there's not much to the old install of unzipping a file and creating the subdirs. I agree, but it makes sense why Oracle is moving in this direction. 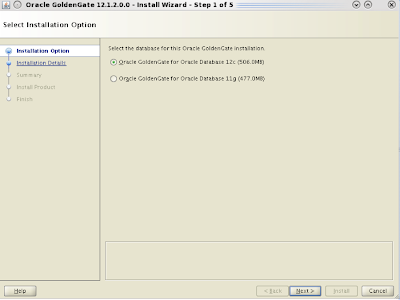 As you'll see, the installation process updates the Oracle Inventory and there is a new OPatch directory allowing for a standard method of patching. The documentation specifies that this version of the OUI does not support upgrades, so you'll have to revert to the old method if that is your current situation. 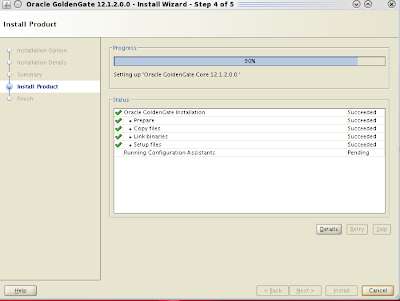 Here are the steps to installing GoldenGate with the new OUI. Once you have downloaded the software, unzip it in a temporary location. Don't unzip it in the GoldenGate home as you would with the previous versions. For my environment, the file name is 121200_fbo_ggs_Linux_x64_shiphome.zip, and it creates the subdirectory fbo_ggs_Linux_x64_shiphome. 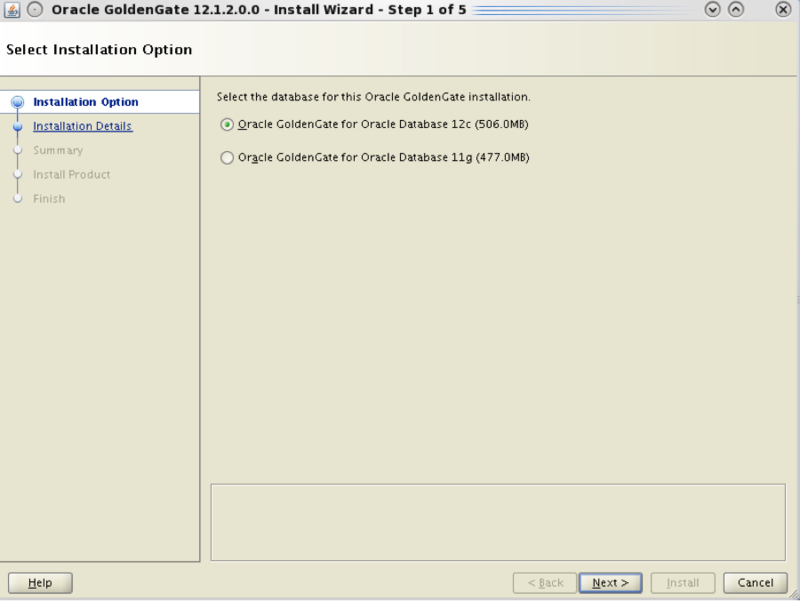 Select the version of Oracle that the capture and/or apply process will be running against. 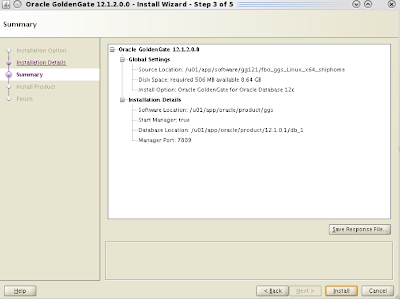 Enter the GoldenGate software home and the location of the database home that GoldenGate will be operating against. You can also check whether or not you want the manager process to be started and customize the desired port. Review the options and click "Install"
And that's it. The installation is complete. The subdirs have been created and the manager process has been started. If you navigate to your new GoldenGate home that you specified above and list the contents, you'll see the OPatch directory along with all of the subdirs. Additionally, you can navigate to the OPatch directory and list the Oracle inventory as follows. Copyright (c) 2011, Oracle Corporation. All rights reserved. There are no Interim patches installed in this Oracle Home.